In about 40% of couples who are unable to conceive, sperm abnormalities are a major factor. Male factor infertility is evaluated by several different categories. Sperm volume should be 1-5 milliliter per ejaculate. Low sperm count is less than 40-60 million per ejaculate. Sperm motility should consist of over 60% of sperm motile and able to show forward movement. Sperm morphology should show more than 50% of sperm have normal shape. The reason sperm counts need to be as high as they are is because only a few dozen sperms are able to reach the egg for a chance to penetrate it. The sperms encounter a long and hostile journey on their way to meet the egg and only few make it. When both partners have fertility issues it greatly complicate things. When considering all that could go wrong in this delicate and complicated process it is truly a miracle that conception occurs at all. Fortunately there are ways to greatly improve sperm count, motility and morphology. Some of those are: avoiding environmental toxins, lowering scrotal temperature, dietary changes, nutritional supplements, herbal medicine and acupuncture treatments. Some medications like anti-hypertensives and anti-inflammatory can greatly reduce sperm counts. Diabetes (either type I or type II) often involves very low sperm counts as well as low motility. 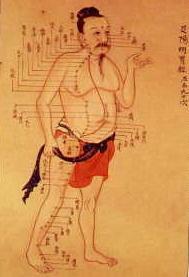 In my experience both types of diabetes respond very well to Traditional Chinese Medicine treatments.